I needed to whip a birthday card in a hurry for a male friend of ours and as is my modus operandi in such situations, I used a pre-colored digi image. 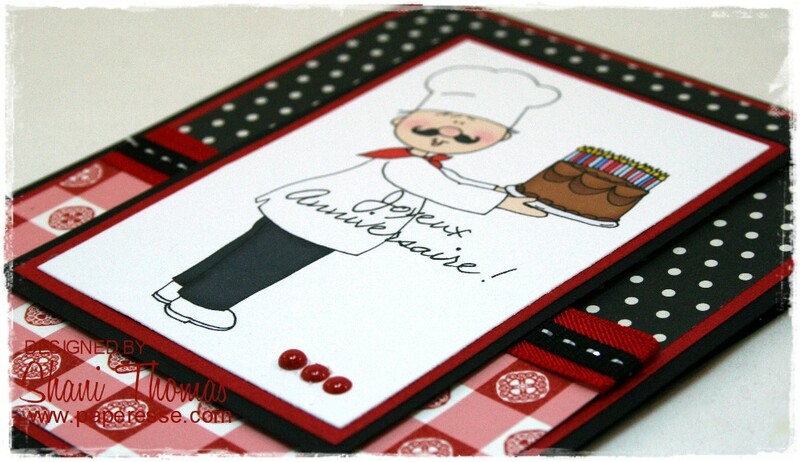 This one is a freebie from Dearie Dolls – Chef with Cake. These pre-colored images are great if you're pressed for time, or simply don't like to color. Almost all my 2017 Christmas cards were just this type (such as this card featuring another freebie – Dearie Dolls Santa and Mrs. Swim). Patterned papers are leftovers from my scrap file. Embellishments are ribbon and pearls. The sentiment was created with Galeforce BTN font. I'm linking up with: Artistic Inspirations #192 – ATG, Crafting from the Heart #189 – ATG, and Dream Valley Challenge #170 – ATG. Hey - lookin' good kid! I love those papers mated for that image! The red and white is reminiscent of a tablecloth and the dotted black gives a masculine contrast for the white of the image panel. A lucky find in your LOP [Left Overs Pile]! AND, on top of that you feel good about recycling! 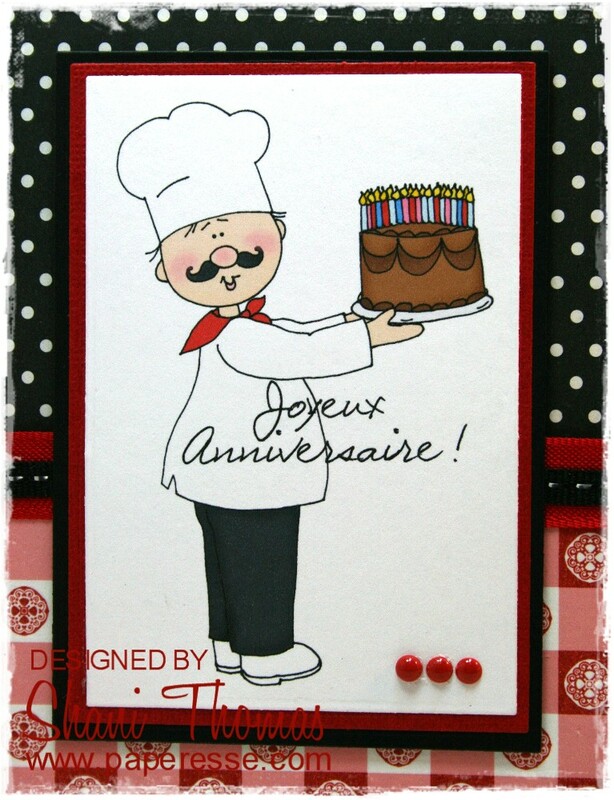 Vraiment sympa cette carte, jadore le combo des couleurs.. moi aussi parfois j'utilise les images coloriés par manque de temps ou d'inspiration .. c'est un gagne de temps ! !